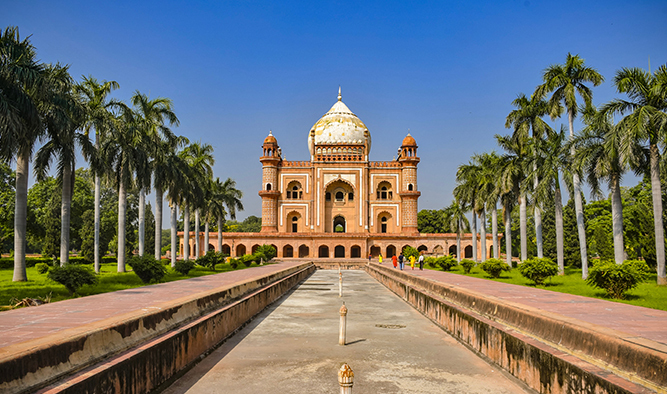 Delhi is a land of many experiences and a part of your journey with us includes exploring the hidden and known gems of the capital city. The tour continues with a visit to Agra and the ‘Symbol of Love’, Taj Mahal, which is then followed by the exploration of Jaipur. From architecturally brilliant heritage sites to the local markets, your visit to the Pink City will be a beautiful experience. The voyage is then continued with our luxury cruise, Ganges Voyager that takes you to the holy land of Varanasi. Experience true comfort and finesse when you plan this expedition with us. 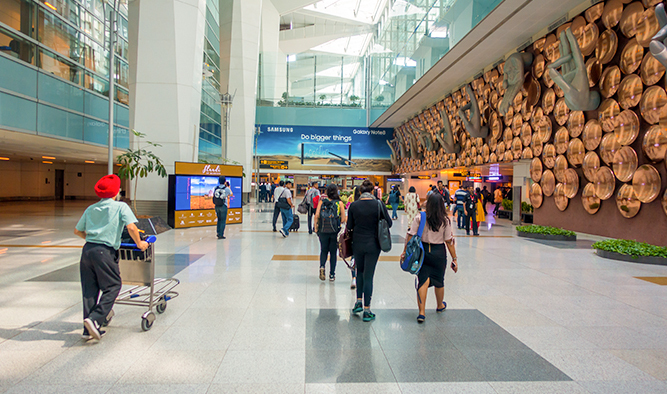 On the very first day, just as you arrive at Delhi International Airport, you will be directed to the hotel. All the guests will be provided with a warm and comfortable stay at the hotel for the night. The 2nd day starts with a delightful breakfast, which is followed by a city tour. A trip to Humayun’s Tomb (the mausoleum of Mughal Emperor Humayun), India Gate (a war memorial dedicated to the soldiers of the British Indian Army who lost their lives in World War I), Gandhi Smriti Museum (a remembrance of the ‘Father of the Nation’) and Qutab Minar Complex (a reflection of the beginning of Islamic era in India) will offer you a glimpse of Delhi’s rich history. As the 3rd day arrives, the guests, via a 4 hour drive through the Expressway, are taken to Agra after the morning breakfast at the hotel. 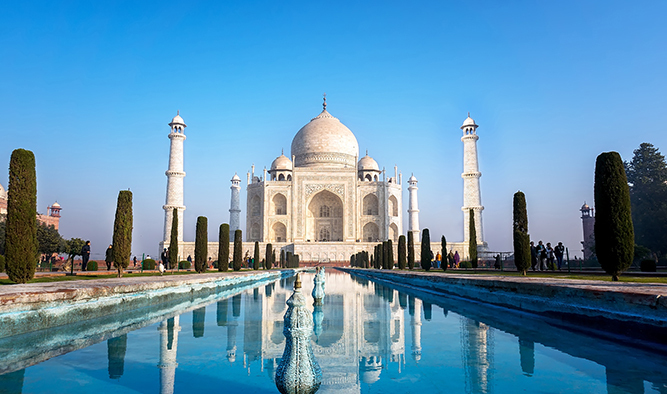 After the arrival, a city tour will be arranged to explore the architectural brilliance of Agra. The exploration of the city starts with the Agra Fort, a UNESCO World Heritage Site with an exemplary Islamic architecture. 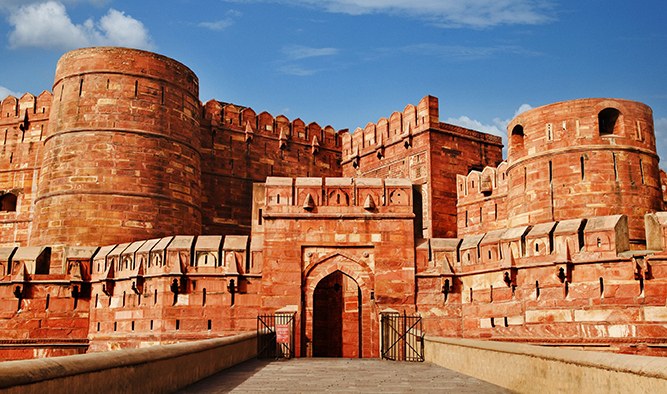 After capturing the beauty of Agra Fort on your lenses, you will be taken to the hotel to freshen up. Wind up the day perfectly with the sight of the ‘Symbol of Love’, Taj Mahal during the sunset. We commence our 4th day with a soul-soothing view of Taj Mahal sparkling in the dawn light. Adding charm to that beautiful morning, a breakfast will be arranged at the hotel. Those wishing to acquaint themselves with Agra’s manufacturing industry can join us for a visit to the inlay marble factory. The excursion is followed by a lunch at the hotel after which we will soon leave for Jaipur. After the 5 hour drive as we reach at the Jaipur hotel, we have a cocktail evening awaiting you with live Rajasthani folk music. A heavenly supper and a comfortable stay will make your day all worth it. 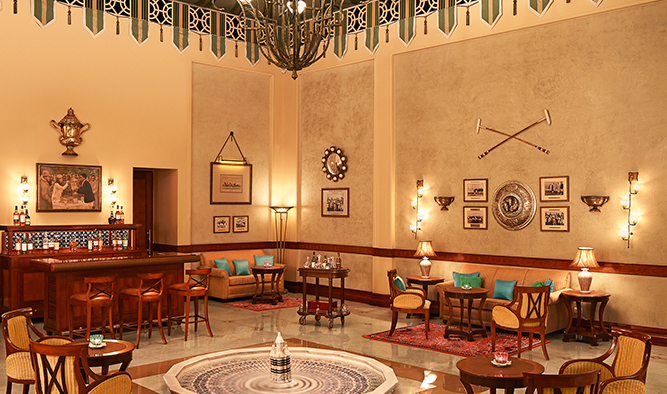 Get ready to explore the Pink City after a delicious breakfast. Our first stop is City Palace, which is known for beautifully depicting the fine blend of traditional Rajasthan and Mughal architecture. Adjacent to this palace, Jantar Mantar, a monument housing a commendable collection of 19 architectural astronomical instruments is our next destination. We end our city tour in a grand way with a visit to the ‘Palace of the Winds’, Hawa Mahal. After lunch at the hotel, travellers interested to dive into the culture of Jaipur can join us on a safari to Amber Fort and shopping at the local market. Early morning on the 6th day we drive you to the airport with packed breakfast. You will be boarding the Indigo flight to Kolkata. 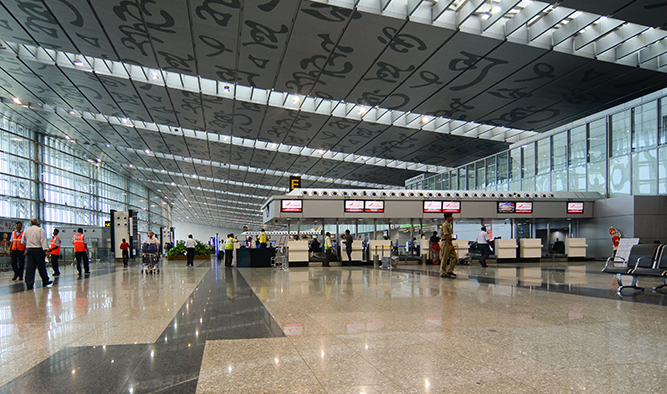 As you arrive at the Kolkata airport, you will be escorted to the ship, Ganges Voyager where lunch, an entertaining evening and a delectable dinner await you.